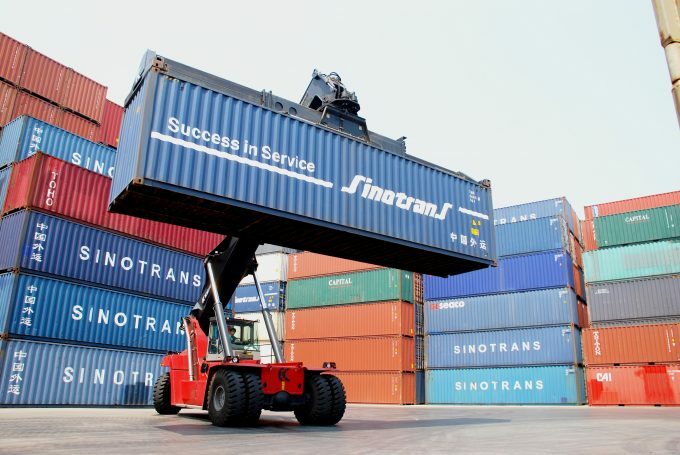 China’s largest freight forwarding and logistics group, Sinotrans, has reported largely flat trading results in its first year of being state owned. Sinotrans, listed on the Hong Kong Stock Exchange, saw total revenues for the year came in at Rmb46.7bn (US$6.8bn) compared with Rmb45.5bn in 2015, representing a 2.8% growth. It reported an operating profit of Rmb1.57bn, compared with Rmb1.64bn last year, while net profit grew from Rmb1.96bn to Rmb2.09bn. Last year was the first in which the company formally became a subsidiary of state-owned port operator China Merchants, after a December 2015 decision by China’s Asset Supervision and Administrative Commission of the State Council. The group’s major activity was freight forwarding, which last year brought in RMB34.7bn of revenues and a profit of Rmb725m, compared with 2015 revenues of Rmb34.6bn and profit of Rmb712.7m. Volumes climbed, but the flat results were due to declining freight rates across all modes and trade routes. Sea freight was up 5.3% to 10.03m teu from 2015’s 9.52m teu, which it said was “mainly attributable to the group’s active efforts to develop the customers of the international freight forwarding business”. On the face of it, Sinotrans’ sea freight volumes should make it by far and away the world’s largest ocean freight forwarder – in contrast, Kuehne + Nagel managed less than half in 2016. However, Sinotrans’ figures also include a large amount of domestic traffic, as Transport Intelligence explained in its Global Freight Forwarding report last year. Air freight tonnage increased by 1.9% to 532,400 tonnes in 2016, from 522,600 tonnes in 2015, which it said was thanks to “the group’s efforts to strengthen cooperation with airline companies and the new customers development”. Its logistics business recorded revenues of Rmb7.8bn, a 12.8% increase, and a profit of Rmb358.3m, representing a growth of 11.2% as it ramped up its service provision and began to exploit the opportunities offered by the “One Belt, One Road” initiatives. Its consolidation into China Merchants will be key in this regard, as its parent, with port developments underway in Sri Lanka and Pakistan, has consistently been one of the Chinese government’s chief tools to advance its OBOR ambitions. It explained that becoming part of China Merchants would give it an infrastrure base on which to develop its forwarding and logistics services outside China. 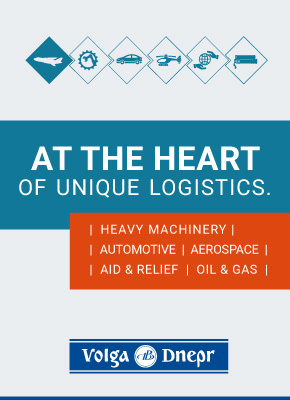 “Vigorous support from the Chinese government on developing logistics e-commerce, multimodal transportation (railway-ocean through logistics, international railway liner services and river-ocean through logistics) and other logistics promotes the development of scale operation and emerging logistics model. “The reorganisation of Sinotrans with China Merchants is expected contribute new development potentials to the company,” it added. But, it expected the new US administration, an expected Federal rate hike and resulting change in global capital flows, Brexit, this year’s European elections, increased geopolitical risk, weaknesses in emerging markets and China’s transformation from a supply-led to demand-driven economy would contribute to another slow year for the global economy.